HÀ NỘI — Park Hang-seo completed the selection of his assistant team to help him prepare his players for the 2019 Asian Cup qualification match against Afghanistan later this month. The South Korean coach has invited Lư Đình Tuấn, Nguyễn Thanh Sơn and goalkeeper trainer Võ Văn Hạnh, all of whom have worked with the national team and the U23 squad. He also welcomed his country-fellow Lee Young-jin, former Korean national player in 1989-94, and Lê Anh Khoa as his interpreter. 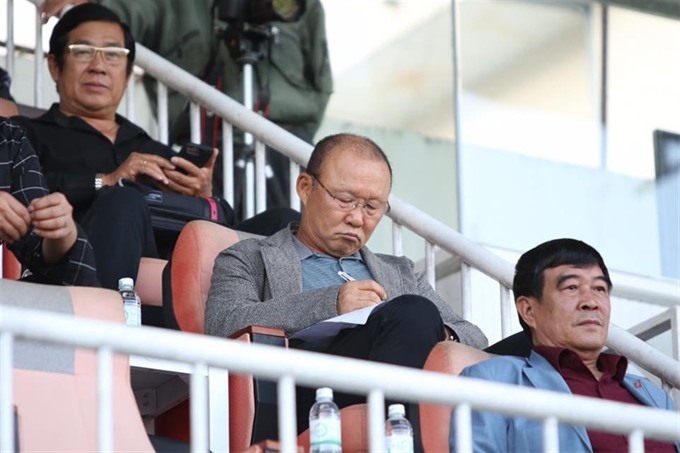 Park will spend time observing players’ performance in the three matches this weekend before finalising the list of 30. Players will be summoned next week and they will have one week to practice for their match, which will be Park’s first official match as coach of Việt Nam. The game is taking place on November 14 at the national stadium of Mỹ Đình.